Hard work built this country, and this Caterpillar Men’s Heather Grey 1510318 11103 Custom Logo Long Sleeve Shirt was made for those who do it. What's more American than Caterpillar equipment? How about a CAT logo with an integrated American flag? This logo shirt ... (see full details) (see specifications) #1510318-11103. Hard work built this country, and this Caterpillar Men’s Heather Grey 1510318 11103 Custom Logo Long Sleeve Shirt was made for those who do it. What's more American than Caterpillar equipment? How about a CAT logo with an integrated American flag? 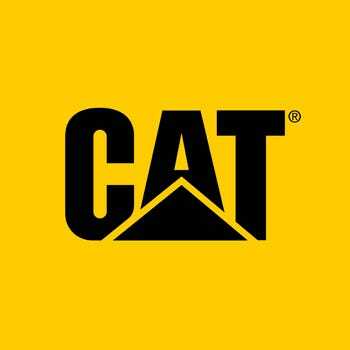 This logo shirt from Caterpillar is made to tough keep you working hard. It's thick enough to keep you warm, and flexible enough to keep you working - not to mention it just looks pretty darn cool. Whether you're a CAT fan, or just work as hard as one, every hard-working person deserves a good quality long sleeve shirt like this. Perfect for lounging around the house on a cool fall day or heading out to the job site, either way, this CAT men's shirt will not disappoint. This long sleeve custom logo shirt is made of 100% peached cotton. The soft and comfortable cotton is run through a gentle sanding process upon finishing to give it a broken feel right from the start that's never stiff and always comfortable. At 4.7 ounces in weight, this heather grey shirt is thick enough to keep you warm on a cool day and makes the perfect inner layer for your work where I'm really cold days. The rib trim at the neckline and sleeves cuffs is made of Spandex, that adds a little extra shape retention to ensure that this men's workwear lasts for plenty of seasons. And we're confident it will be calm your favorite long sleeve shirt, so you definitely will want it to last. You have no worries where that is concerned; this long sleeve tee is as tough as the equipment that bears the same logo. There is a wire management loop at the back of the neck for your safety, making it easy to secure all wires from your headsets or headphones while you are working. This leaves them out of your way and keeps your focus on the job at hand. And because you don't need any extra irritation in your day, this jersey knit long sleeve t-shirt is tag list so there is no itch involved. Take pride in your work ethic and your country with this Caterpillar Men’s Heather Grey 1510318 11103 Custom Logo Long Sleeve Shirt from Working Person's Store. Caterpillar Shirts: Men's Heather Grey 1510318 11103 Custom Logo Long Sleeve Shirt is being added to your cart.